Valve has updated its SteamVR software after Beat Saber players managed to reach rhythmic flailing speeds not thought “humanly possible”. 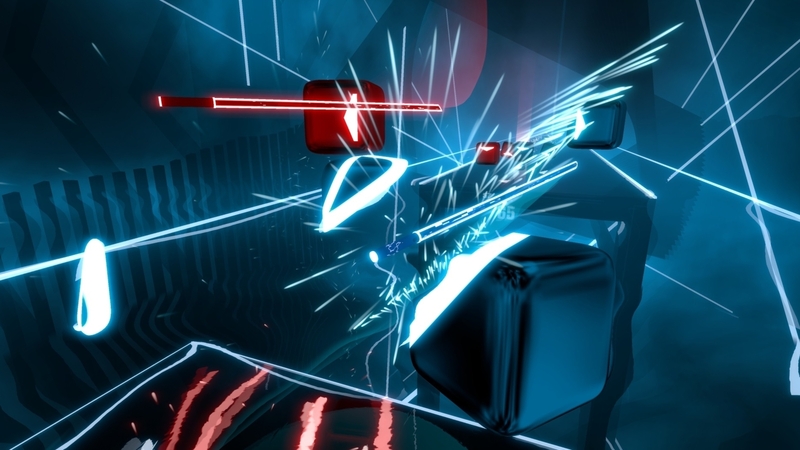 Beat Saber, for those unaware, is a rhythm game in which players don their VR headsets and attempt slash blocks hurtling toward them using a virtual lightsaber, all in time to music. If you’d like something a little more visual, you can see an increasingly sweaty Eurogamer’s Ian Higton show off his arm movements in the video below. As with the best rhythm games, the thrill in Beat Saber comes from reaching that zen-like state in which mind and music meld to the point where physical responses happen virtually subconsciously. Unfortunately, it seems that PC players, perhaps a little too swept up in the music, were successfully managing to reach speeds, as they dramatically waved controllers back and forth, that climbed above the threshold at which SteamVR’s tracking system was able to keep up. Cue, in certain edge cases at least, missed notes and much sadness. In response, Valve has offered a fix in its latest SteamVR beta, increasing the limits of what it believed “was humanly possible for controller motion” based on data from Beat Saber players. Valve developer Ben Jackson (as spotted by Road to VR) elaborated further in the accompanying comments, explaining that SteamVR’s tracking system “has internal sanity checks to identify when things go wrong. For example, if our math says you are behind your only basestation, clearly we made a mistake, because we wouldn’t be getting any signal from behind the basestation.” Unfortunately, one of these sanity checks, based on how fast Valve “thought it was physically possible for someone to turn their wrist” was causing problems in Beat Saber. Simply put, explains Jackson, “It turns out that a properly motivated human using a light enough controller could go faster (3600 degrees/sec!) than we thought”. Hopefully, these changes mean that Beat Saber’s most exuberant players can now flail unhindered without technical issues hampering their game. And for those yet to test the limits of their upper-arm abilities, Beat Saber is available via Steam and the PlayStation Store.